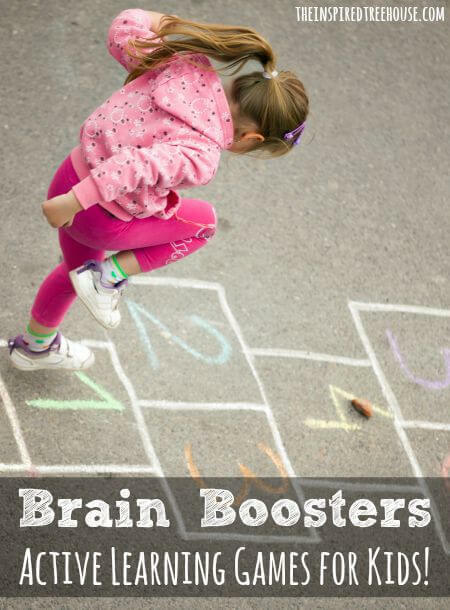 We are so happy to be kicking off a new series at The Inspired Treehouse called Brain Boosters: Active Learning Games for Kids! For the next several weeks, an awesome group of kids activities bloggers from all different backgrounds will be sharing their favorite movement games to inspiring learning in kids! To start us off, Jaimi from The Stay-at-Home-Mom Survival Guide is sharing an active learning game for kids in preschool and up! This Spell Your Name Hopscotch Game is designed to help them learn how to spell their names through movement by playing a hopscotch-like activity! 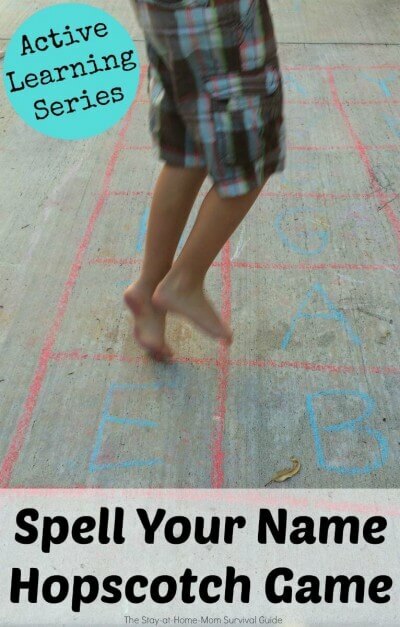 Hopscotch is an awesome way to work on coordination and balance and also gives kids some great proprioceptive input. We can’t wait to try this one! 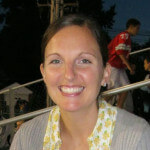 Jaimi is a mom of 4, a former teacher, a military wife, and an encourager of moms to find joy in the challenges of being a stay-at-home-mom! 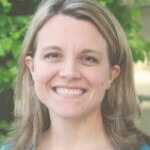 Be sure to check out The Stay-at-Home-Mom Survival Guide today! Follow along with the rest of the Brain Boosters series! You’ll find lots more active learning games for kids over the next several weeks! These activities will offer practical, tangible tips for parents to target academic concepts through whole body movement. We hope to share as many aspects of learning as we can from preschool through the early elementary years!